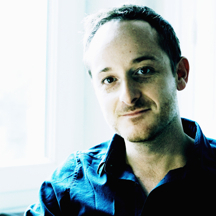 Born in Lyon in 1979, Adrien Rivollier worked first as stage manager for several France 3 TV productions. He directed his first 52’ documentary in 2005, “Point of Refuge,” filmed in a juvenile detention center. This film was the starting point for a series of documentaries about the justice system and difficult youths, notably “At the Juvenile Court” (2007 - Childhood Foundation Award) and "Criminal Games” (2012), which were both widely seen on France 2. "TIGRAN" is Adrien’s first solo project uniting his passion for music with his previous films’ intimate approach.